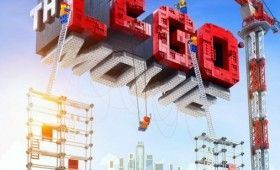 It may have taken years from the time it was first announced, but Warner Bros. has finally revealed the first trailer for The LEGO Movie. The trailer doesn't reveal much of the plot, but does show off the form of stop motion photography that will be bringing the short, yellow characters to life. Featuring a star-studded cast - led by Guardians of the Galaxy frontman Chris Pratt - and the likes of Superman, Batman and Wonder Woman, the film looks to offer laughs and action for far more than just fans of the multi-colored toys. Directed by Phil Lord and Chris Miller - the duo who wrote and directed Cloudy With a Chance of Meatballs (2009) - and based on a screenplay the pair developed with Dan and Kevin Hageman (Hotel Transylvania), the film follows a LEGO minifigure named Emmet who is mistakenly hailed as the savior of the world and drafted into an epic adventure. With Pratt lending his vocals to the protagonist, the LEGO characters along for the ride are every bit as famous as the celebrities voicing them. The trailer centers largely on the wise Vitruvius, voiced by Morgan Freeman, but with Elizabeth Banks (The Hunger Games), Liam Neeson and Will Arnett - voicing Batman in this particular trailer - there are sure to be even more famous cameos than the ones that have already been confirmed. The trailer may not offer any more insight into what kind of mission Emmet will be embarking upon, but it does give a sense of the kind of widely-appealing humor the directors are after. With the well-received Cloudy and the more raunchy sophomoric comedy 21 Jump Street (2012) under their belts, Lord and Miller have proven their ability to please both young and old with their wacky films. Going by this trailer's opening tease (mimicking massive blockbusters) the humor of The LEGO Movie won't just appeal to children who remain the brand's target audience, but the older fans for whom '1980-something space guy' means more than just a punchline. Irreverent comedy and nostalgia are potent weapons in the hands of strong writers, and given LEGO's continuing popularity, Warner Bros. may have a hit on their tiny, cup-shaped hands. The Lego Movie opens in theaters on February 7th, 2014.